Virgil van Dijk is the world's best centre-back. That’s the opinion of his Liverpool teammate Andy Robertson, who believes the Dutchman’s imperious form this season makes him a leading contender for the PFA Player of the Year award. 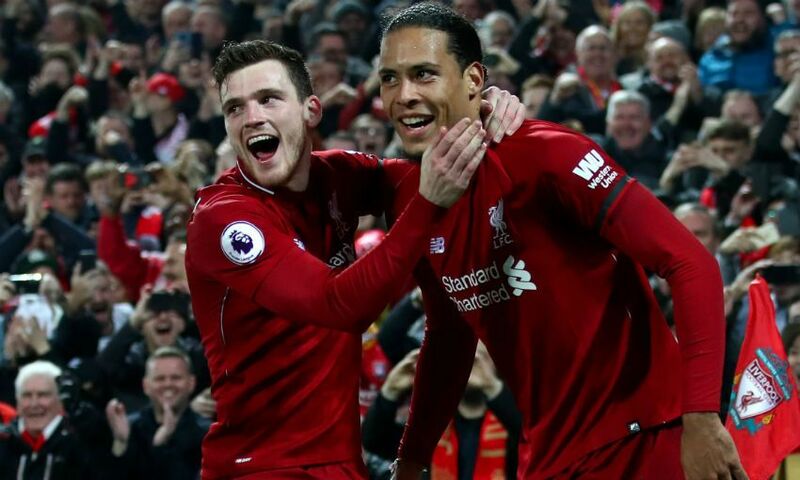 “If the season ended tonight, I would give him it personally,” left-back Robertson stated after Wednesday’s 5-0 win over Watford, during which Van Dijk scored twice. “He’s so consistent as well. If he puts the performances as he has done, there's no reason why he shouldn't have that trophy. There's still 10 games to go and somebody can step up from another team but Virgil can take it to a whole new level, I reckon. “The attacking players are usually in the running because they take all the goals and the headlines but this season Virgil has been fantastic and he's getting all the plaudits that he deserves. Hopefully it will continue for the last 10. “He makes my life easier, that's for sure. To have him next to me it makes everything so much easier. “When somebody is running at you and you know Virgil is inside - he's rarely out of position, if ever. Robertson, whose pinpoint cross set up Van Dijk’s second headed goal in midweek, went on to say that the rout of Watford offered an indication that Liverpool had rediscovered their attacking ‘spark’ ahead of Sunday’s Merseyside derby. “After a performance like that, of course we’ll be confident,” the Scotland captain said of the trip to Goodison Park. “We’re playing well but this was a performance we’ve been waiting for. Hopefully we can take that into the Merseyside derby. It’s a game that’s easy to get up for. “A lot of people have been saying that we lost our spark in the games. You can kind of agree, we had one shot on target against United and it was Sturridge’s shot from 45 yards which trickled into De Gea’s arms.